Insurance fraud is a crime that we all pay for in the form of higher premiums for our home, auto and business insurance. However, 10% of the population still thinks that “insurance fraud doesn’t hurt anyone.” Nothing could be further from the truth! 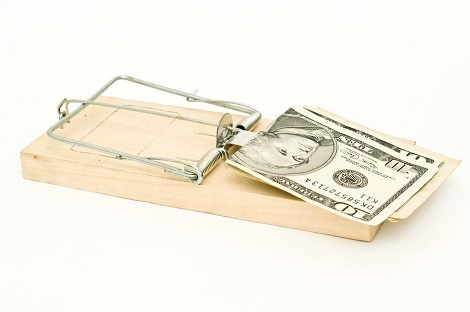 According to the Coalition Against Insurance Fraud, fraud steals about $80 billion a year across all lines of insurance. Yikes. 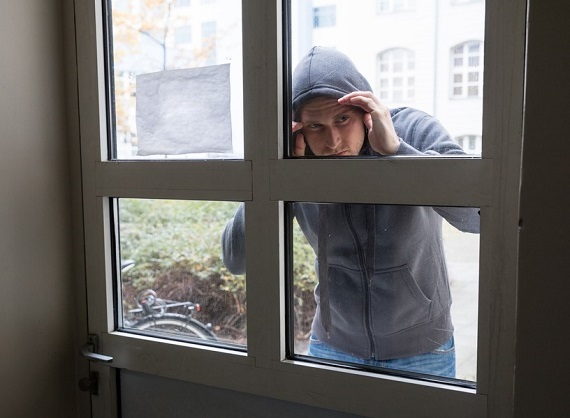 And for some people, the cost is much higher than dollars and cents – if you are unlucky enough to be one of the victims of these criminals, you could lose your identity, your good credit, your life savings, or even your life. Every year, the Coalition Against Insurance Fraud issues lists a rogue’s gallery of the worst, most egregious insurance criminals from the prior year. Recently, they named 8 criminals to the 2016 Insurance Fraud Hall of Shame. One of the purposes in publicizing the list is to educate and alert you, the consumer, about the scope and type of fraud crimes that are out there. Here’s a sneak preview of some of their crimes to give you an idea of the severity – you can read the full stories of their crimes from the Coalition Against Insurance Fraud site. One way to combat this type of crime is to report it. Here are some ways to do that. This week is Consumer Protection Week – but honestly, consumers should be on their guard about potential scams and fraud every single week of the year. In 2016, people who reported fraud to the Federal Trade Commission (FTC) paid $744 million to scammers – with a median payment of $450. Those are only the reported cases – many people are embarrassed to admit that they fell for a scam. Experts put scam crimes more on the order of $30 to $40 billion a year. 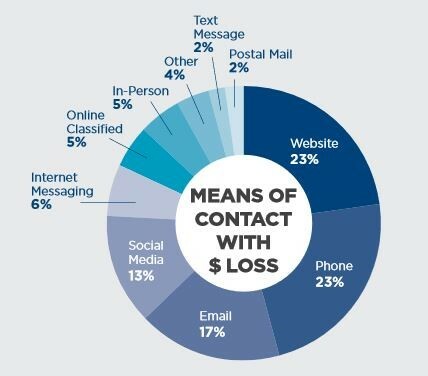 In looking at the top fraud in 2016, the FTC said that of those who specified how they were contacted by scammers, 77% said it was by telephone, with only 8% contacted by email and 3% by traditional mail. That tells you to be alert for suspicious calls. Also notable in 2016, the FTC reports that for the first time, imposter scams passed identity theft for the number of complaints, and debt collection was the top complaint for the second year in a row. Imposter scams are scammers who pretend to be someone else: the IRS, debt collectors, tech support – the FTC has posted examples of different types of imposter scams that have been reported. Why are people susceptible to fraud? Scammers are masters of human nature and prey on our weaknesses. They appeal to fear by posing as the IRS, debt collectors or other authorities, making harsh threats and you-must-act-now demands. They exploit our hopes of winning or getting something for free or for an incredible price. They take advantage of naive computer users with popups, phishing scams, unsafe apps or links and social media targeting. In What Makes People Fall for Online Fraud? Rick Paulas reports on an AARP survey about risk factors involved with falling for Internet scams. An emerging conclusion in profiling research is that there is no generalized profile of a “typical” victim. Profiling studies that analyze victims by type of scam, however, have yielded a clearer picture of scam-specific profiles. In other words, while everyone is vulnerable, some people may be more vulnerable to particular scams than others. The article is very interesting, examining various demographic groups and what type of scam is likely to be most successful for that group. For example white men are the most likely victims of investment fraud; lonely people are more susceptible to dating fraud. Even relatively sophisticated and alert people can let their guard down and fall for a scam. One way to keep suspicion high is to periodically review the FTC Scan Alerts to learn the latest scams that are circulating. It’s also important to report fraud should yo be come a victim. That is how the authorities catch criminals and alert others about new schemes. Card skimming fraud is a type of fraud that uses devices to read your credit card and steal your pin or password. 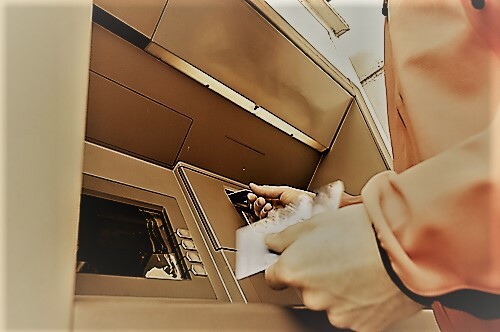 It’s a type of theft that frequently happens at ATM machines, but it also is common at gas stations and any place that you swipe the magnetic strip of a credit or debit card. The latest scene of the crime are self-checkout stations in supermarkets. The problem is that data on your credit card is stored in magnetic strip on the back of your card and the magnetic strip is not encrypted. Cheap devices are readily available to scan that data. Devices used to be large and unwieldy, but have become increasingly smaller and cheaper. These devices can be cleverly disguised and affixed to retail outlets that read your cards. They can also be used anyplace your card is scanned. To foil card skimming fraud, new cards contain chips with encrypted data so those cards are safer in theory. We say “in theory” because it’s an enormous undertaking for banks, gas stations and retailers to replace the card reader stations and convert to chip-enabled card readers, so many still rely on reading magnetic strips. As long as your credit cards have a magnetic strip, they are still insecure. This ABC News video clip is about 8 minutes long – a good investment for a quick education about what skimming is, how to spot it and steps to take to prevent it. 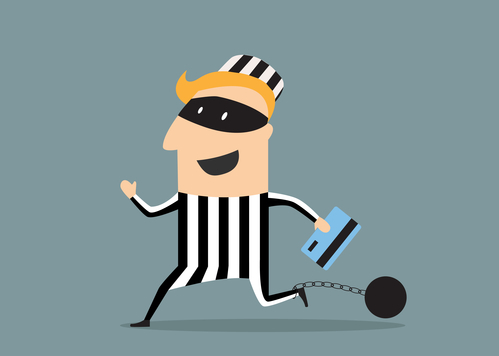 Here are skimming fraud prevention tips we’ve gleaned from the experts over the years. Use well lit, well-trafficked ATMS and gas stations with security cameras; go inside banks; be particularly careful at freestanding ATMs. When using an ATM or paying at the gas pump, check for anything unusual and be alert for any devices that may be affixed. Look for anything that protrudes from or seems affixed to the machine, any color differences, any unusual stickers. Look for nearby mirrors, pamphlet holders, speakers, or devices that could house a camera. Always cover the keypad with your hand to shield from any cameras that may be trying to record your PIN. It’s also a good idea to touch several keys with your fingers to thwart anyone trying to grab your pin via infrared heat detector readers. Don’t let anyone “help you” at an ATM or credit card reader. When paying at a restaurant or any retail outlet, don’t let anyone walk away with your card, have them read the card in your presence so that they don’t harvest your information with a small pocket-skimmer. Check your bank account regularly to ensure funds have not been taken. If you spot anything suspicious at an ATM or a self-service gas or grocery kiosk, alert the business or the police right away.